Pretty sure this woman in Canada is breaking the law. 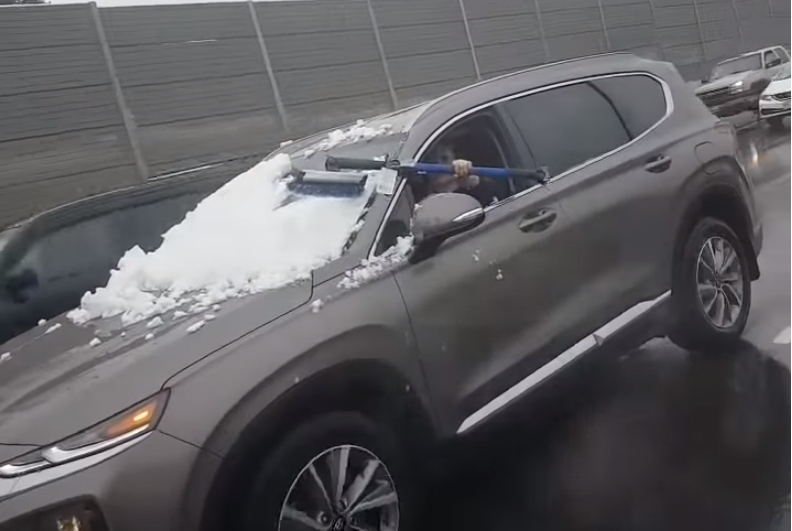 She was caught on video with her left arm out the window holding a snow brush, trying to clear off her windshield. All while driving in rush hour traffic! In New Hampshire, we have “Jessica’s Law,” where it is punishable by a hefty fine or even possible jail time. This is an absolutely insane move by this woman? It looks to be heavy snow that is easily removed; no need for scraping. Folks, take a few extra minutes to clean off your car completely before you go.